In a dark, dangerous, futuristicLondon, where high-tech monitoring, cybernetic modification and a pharmaceutically controlled population are reality, Lugan knows that this time he is being watched by more than just the standard CCTV and drones. Tense, he waits for his observer to make a move. A taunting voice comes from the darkness; an unseen mockery surrounds him. Lugan is about to meet the â€˜Eckoâ€™. Ecko, cybernetic modification perfected, is practically invisible to all surveillance. He is wanted in connection with the recent destruction of one ofLondonâ€™s landmarks, he is the nemesis of Pilgrim, promiser of a great new world that it failed to deliver, and he is waiting in the shadows enjoying every moment of Luganâ€™s discomfort. The downside to physical perfection is that Ecko is psychologically damaged, unstable, nigh on uncontrollable, and seems potentially the one person who can bring down Doctor Grey, creator of the pharmaceutical society they live in. Which is why Lugan is determined to recruit him, regardless of the risks. Ecko Rising follows Eckoâ€™s progress as he takes on what could turn out to be the very mission he was created for. From the moment the prologue ends we are launched into a tension filled page-turner that begins in tightly controlledLondon and keeps expanding to reveal the various realities that Eckoâ€™s journey takes him through. 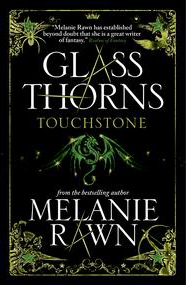 Ware has successfully blended elements of science fiction and epic fantasy to create a unique story in a landscape that has just enough of a modern, dark edge to elevate it from a traditional fantasy journey to something new and compelling. Ware writes with an eloquence that is not often encountered in genre fiction, nor complemented so well with dialogue that distinguishes its characters and adds personality to them on the page. With a language almost of his own, and a witty inner monologue to match, Ecko is a captivating hero made more so because his capabilities and constraints are not defined. He is unpredictable and thus by nature always interesting, his every word and every move laced with potential and excitement. The contrasts and parallels between Wareâ€™s vision of futuristicLondonand the imagined fantasy landscape of the Varchinde and the city ofRoviarathis illustrated perfectly and each setting realised in a believable way that connects the reader with the story and with its several protagonists. Ecko finds himself unceremoniously removed from futuristicLondonand plunged into a sprawling fantasy world that seems at once peacefully primitive yet no less dangerous than the world he left behind because of the existence of magic and forces he does not understand. 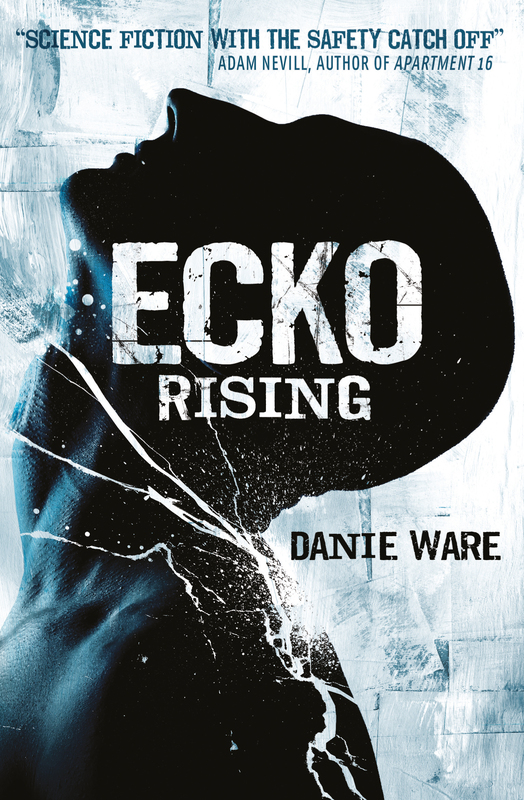 In Ecko Rising Ware takes the idea of removing a character from his comfort zone and hooks the reader from start to finish by plunging him into a place where reality itself is questionable and more of his surroundings and mission seem inexplicable than not. This will be enjoyed by readers of science fiction, traditional fantasy and modern fantasy â€“ a successfully fresh â€˜something for everyoneâ€™ approach to genre fiction. What can readers expect from Ecko Rising? Ecko Rising is a new thing â€“ itâ€™s fantasy seen through SF eyes, a sharp and sardonic take on the genre, a biting look at some of the classic chestnuts. Itâ€™s dirty in places, itâ€™s violent, it can be confrontational â€“ itâ€™s probably not what you expect. 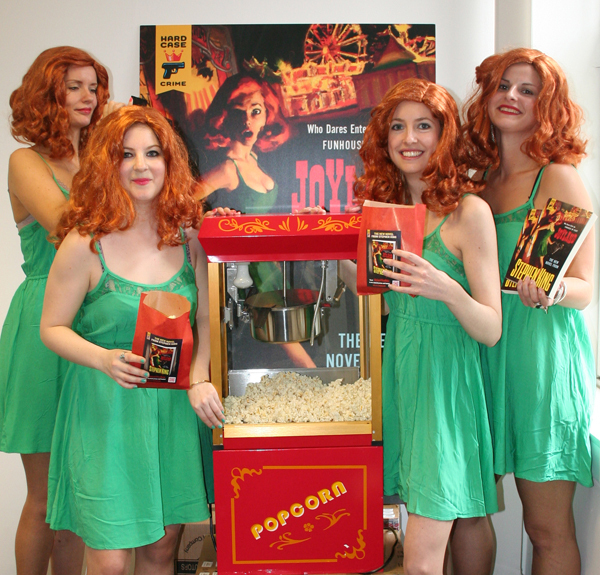 But if you like your fantasy with a sharp-edged twist, then itâ€™s definitely for you! What is it that will appeal to readers about Ecko himself and what was it about his character that you enjoyed writing? Eckoâ€™s that part of all of us that wonâ€™t be given orders, that demands the right to stand up, speak out, think for ourselves and be different. Heâ€™s aggressive, heâ€™s angry, heâ€™s sarcastic, heâ€™s insightful and stubborn.Â And yet, he can be just as human and fallible as we are â€“ and he can just as easily mess it up. Writing the character meant I could let myself off the leash â€“ let my savage and deeply cynical self have free rein and just do whatever the heck it wanted. And actually, thatâ€™s a lot of fun! Many years ago, it out as â€˜what ifâ€™ fiction â€“ something kind of haphazard share with a highly creative and involved social group, all of whom have contributed to what itâ€™s eventually become. In 2008, when I started writing again, the concept was so firmly established it just never occurred to me to do anything else. And the more I wrote and the more I explored the concept properly, the more fun it became! 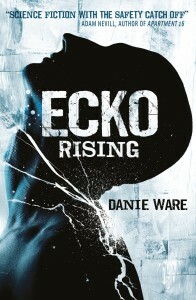 What was your initial concept of Ecko Rising and how did that develop to the finished novel? It took me aback, but he was absolutely right. And it made me start to think about how everything is dependent on point of view, upon whose eyes the reader is looking from. And as the character developed from those early experiments, so the story grew almost organically round him. What processes are you going through leading up to the release? Do you have any readings or tours scheduled or upcoming activity online for readers to look out for? Thereâ€™s a lot of online activity coming up â€“ a blog tour starting next week (watch Titanâ€™s website or my blog for dates), and a gorgeous book trailer/interview done by Angie Thomas at Dancing Fairy. Iâ€™ll be launching Ecko properly at Forbidden Planet on Thursday 20th September at 6pm â€“ there will be reading and beer! The following Thursday evening, also at Forbidden Planet at 6pm, the Titan Fiction Family will be out en masse for the first time â€“ Iâ€™ll be there with Kim Newman, Guy Adams, Joanne Reay and Samit Batsu. Iâ€™ll be at FantasyCon at the end of the month, reading on the Friday evening at 8pm, then at the Titan book launch on the Saturday morning (I think Sophieâ€™s ordered cupcakes!). Iâ€™ll also be reading and signing at Forbidden Planet Bristol on Friday 19th October at 1pm, before going to BristolCon the following day. Whatâ€™s next? Have you any plans to continue Eckoâ€™s story after Ecko Rising or to work on a different project? 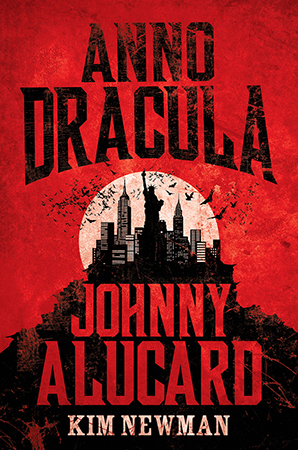 Iâ€™ve just handed in the second part of the Ecko story, due to be published in the UK next September. I have an urban fantasy novel with my agent, and various mini projects on the goâ€¦ but as for anything after that, we will have to wait and see!